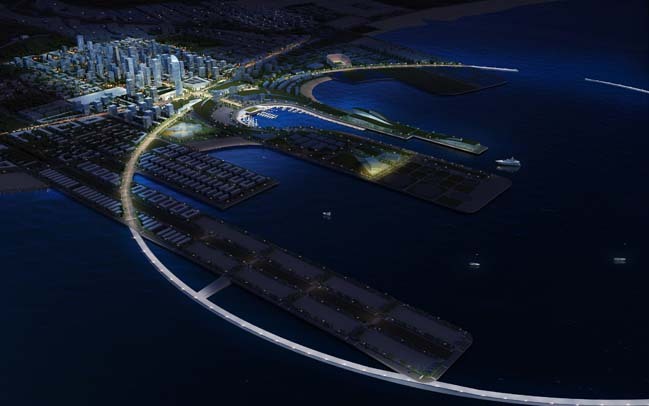 The Qingdao Master Plan envisions a new Central Business District was designed by Perkins + Will as the hub for marine-related businesses, finances and commerce in Qindao, China. 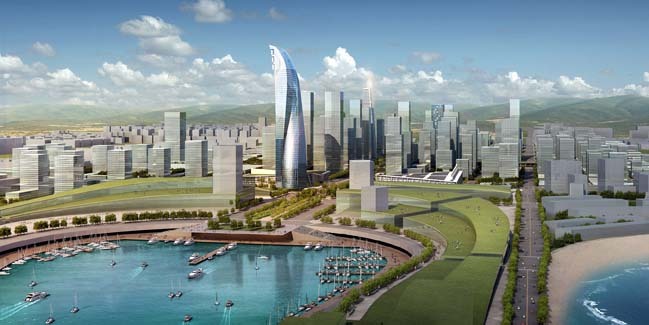 According to the architects: The project will be the centerpiece of the region and a new identity for the city of Qingdao. 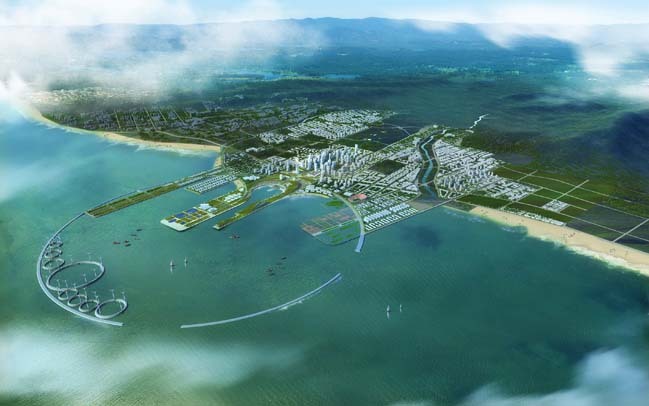 A research/innovation/advanced manufacturing district with a state-of-the-art ocean technological institution forms the eastern core of the plan. The centerpiece of the plan is a strong open space framework that acknowledges the natural topography and integrates the existing hills and rivers with new open spaces. A prominent central park, consisting of some 1000 acres of centrally located land, will bring the surrounding forest into the heart of the city. This ecological system will be further strengthened by protecting the existing forest as a regional open space. These established ecological corridors weave nature together with city fabric and tie distinct new districts to existing development, enhancing the value of this urban setting. 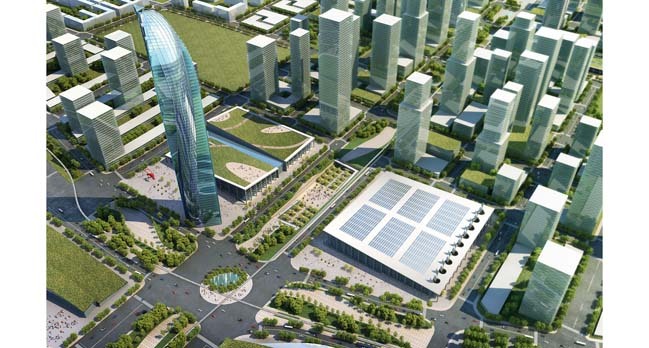 To provide the city maximum flexibility in the built fabric in the face of changing market conditions, the plan focuses on creating strong access, circulation, infrastructure and transportation frameworks that serve a variety of mixes of use in a pleasant, walkable environment.